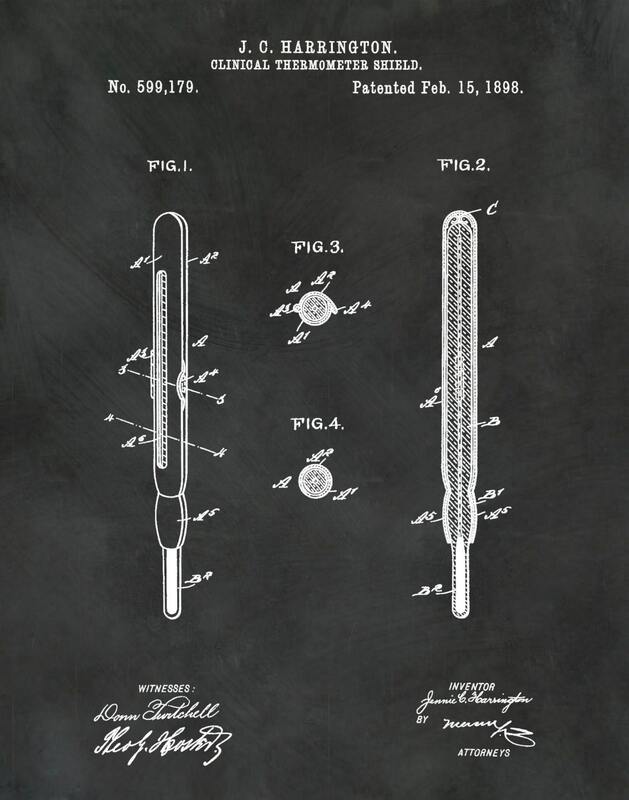 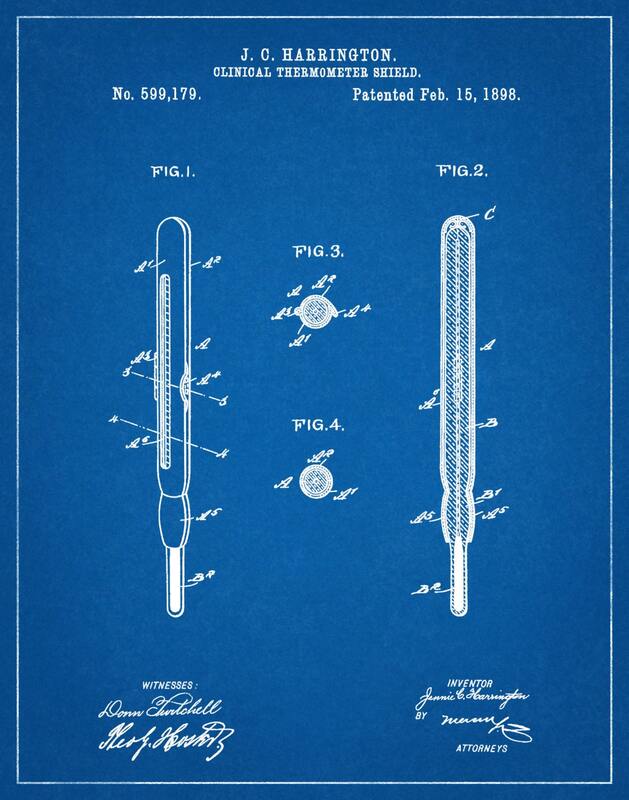 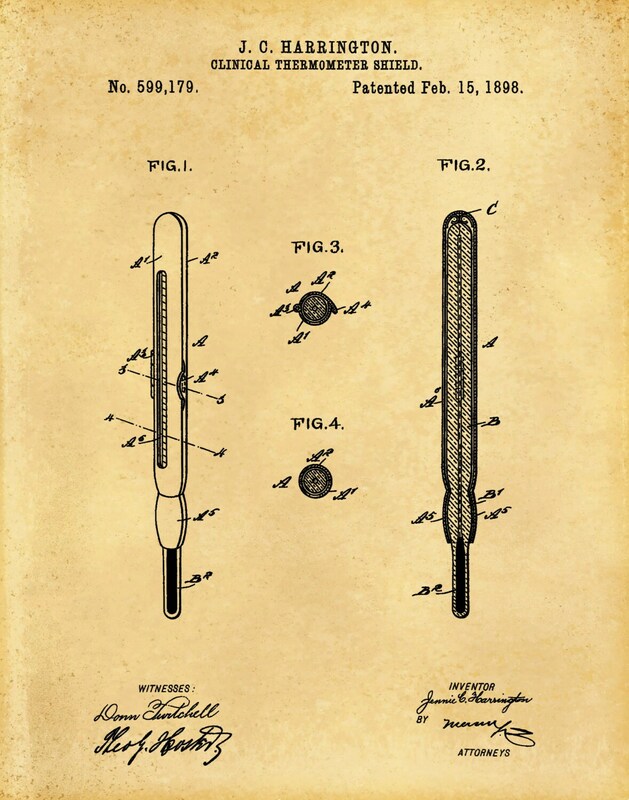 1898 Clinical Thermometer Shield Patent invented by Jennie Harrington. 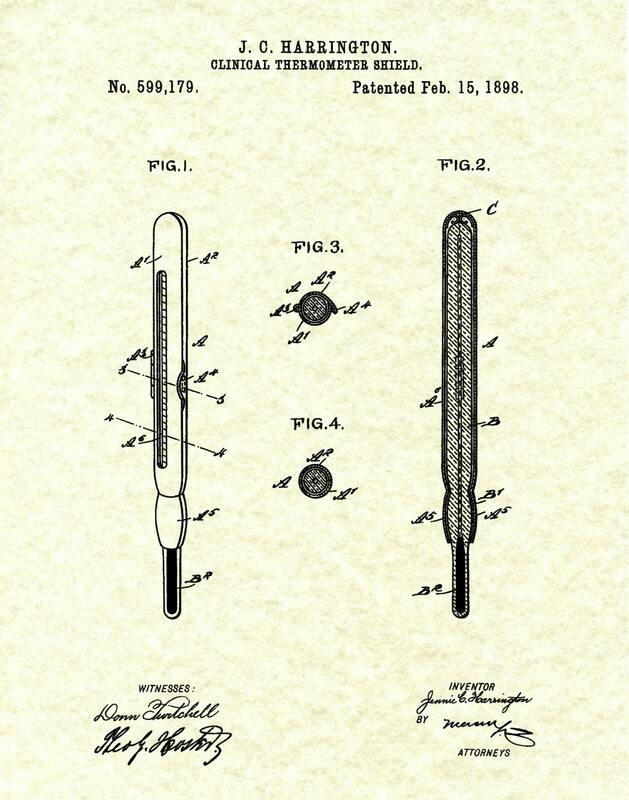 The patent was issued by the United States Patent Office on February 15, 1898. 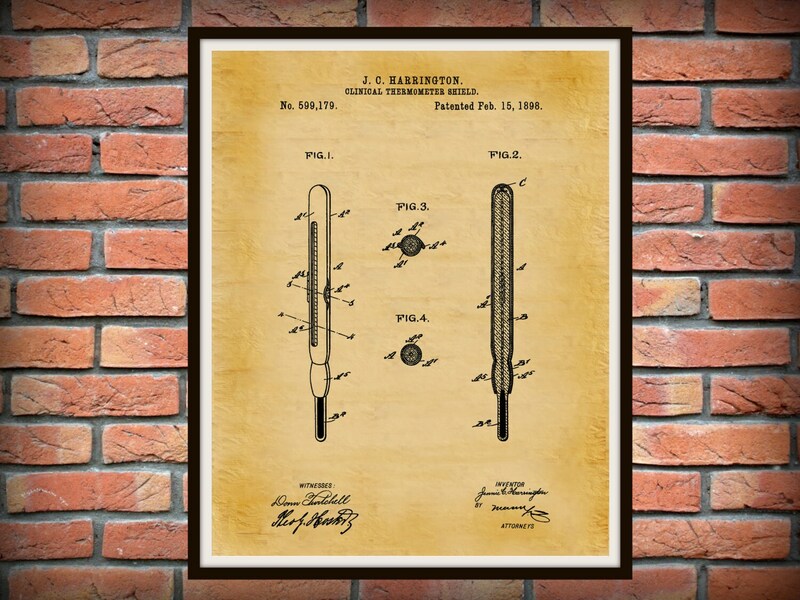 Computer monitors vary in color calibration therefore your print may have a slight difference from what your see on your screen.